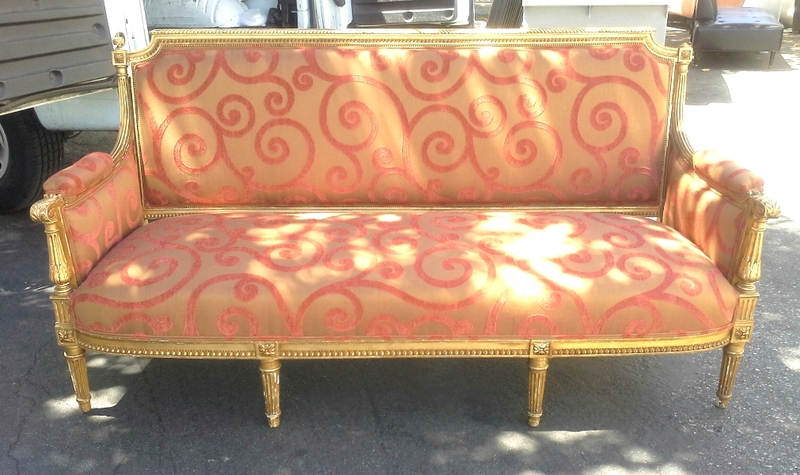 If your old sofa looks as though it's on its last leg, don't be too quick to throw it out. Resourceful home-owners are discovering that many old pieces have a value you can't buy today. 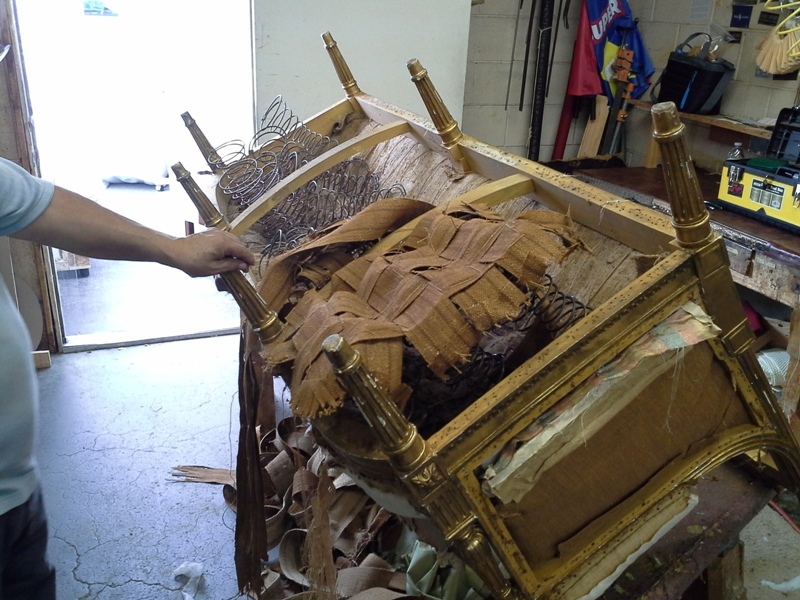 And, they are restoring those pieces through upholstery. The economics of upholstery works for them, too. For dollars and cents it can be one of today's best buys. The Value Is In The Frame! 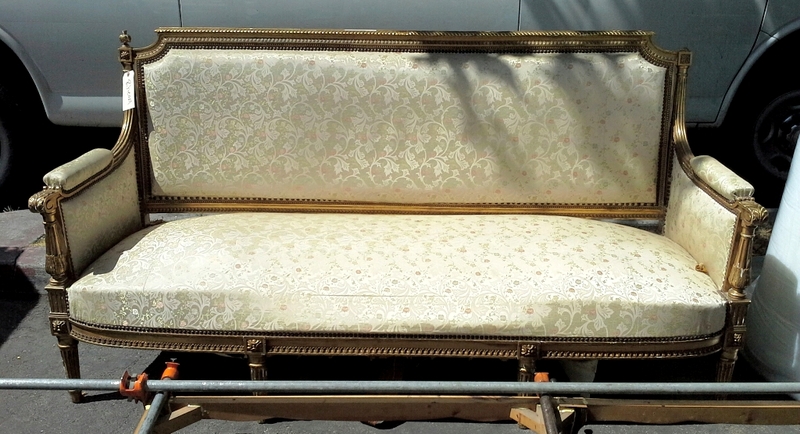 If your old sofa (or chair) has a good frame, it is well worth upholstering. A frame is the essential element in the structure and if it's solid, there's no point going out and buying a new one. What is a good frame? One that is made of hardwood, oak or maple, for example. Hardwood is strong and has longevity. A clue is its weight. That's why furniture sales people will often lift up one end of a sofa when showing it to a customer. They are demonstrating the frame's weight. And the frame is what your upholsterer can check out. Building on your old frame (where you save big dollars), the upholsterer re-ties the springs, puts in new webbing, new padding, and new filling, and totally recreates the piece. This is all hand-work, involving a high order of skills. What you get back is a piece of furniture, in the class of a custom-made piece. "Reduce, Reuse, and Redecorate!" Furniture upholstery qualifies for LEED points. Leadership in Energy and Environmental Design is an internationally-recognized green building certification system.